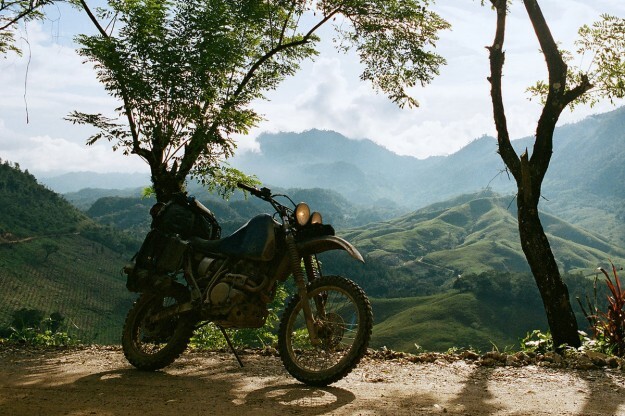 With all the marketing hype around ‘adventure riding’ these days, many motorcyclists won’t dare go off the beaten track without a large capacity dual-sport, an array of aftermarket parts and a support vehicle. It’s easy to forget that there was a time when this wasn’t an option—and that it’s possible to see the world without blowing a budget worthy of a reality TV series. Thankfully there’s a growing contingent of people that realise this, and choose to plan their adventures with a more pragmatic mindset. Enter James Crowe and Jordan Hufnagel. 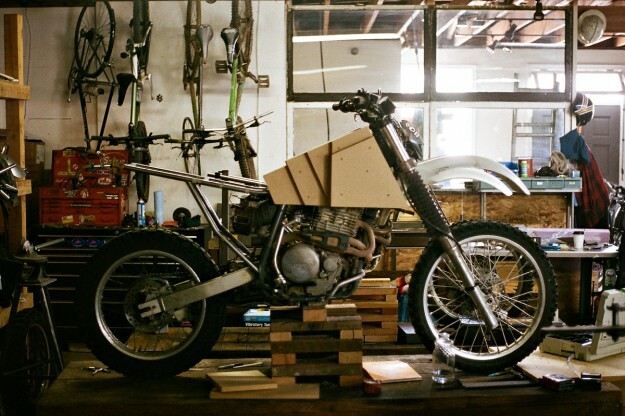 Under the monikers Crowe Metal Co. and Hufnagel Cycles, they build custom motorcycles and bicycles respectively. 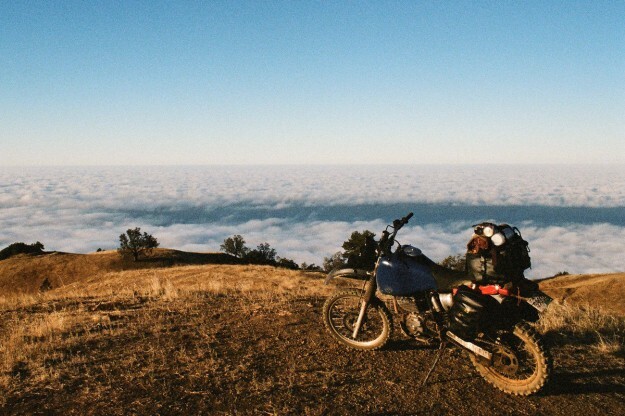 Collectively they’re known as West America—and are currently riding two hand-built Honda XR600Rs north-to-south across the Americas. 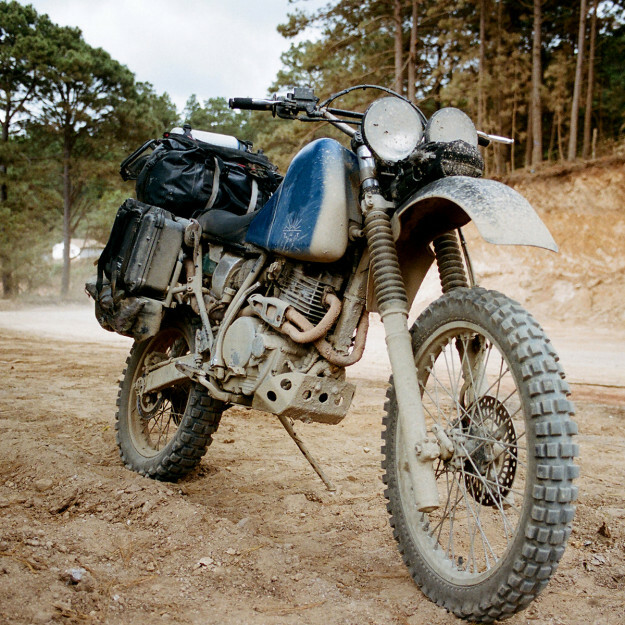 These might not be the type of bikes you’d expect to see on Bike EXIF, but they are worthy of sharing. Partly because they’re great examples of function trumping form, but mainly because we’re envious of (and inspired by) James and Jordan’s epic journey. 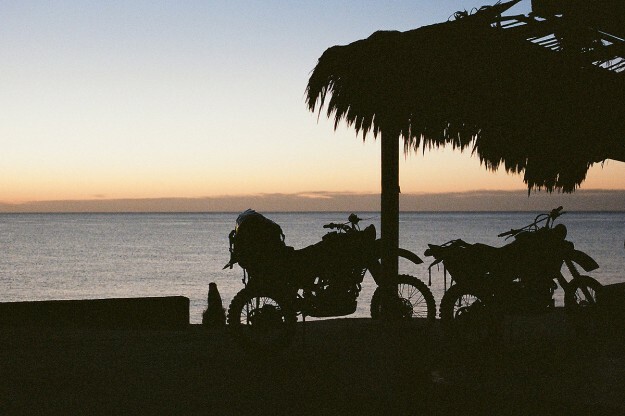 The pair chose Honda’s legendary XR600R for a number of reasons: it’s bulletproof, easy to work on and has remained relatively unchanged since the late 80s—so parts can be found just about anywhere. The steel frame is also easier to modify (and repair along the way if necessary), and the big single makes ample power for lugging around gear. James sourced three mid-90s XRs: two plated ones and a third, unplated parts donor bike. Shorter, wider and thicker seats were made and sent to Ginger at New Church Moto for upholstery. Up front, James installed his own wide scrambler bars, dual Hella headlamps and small, hand-made racks to hold tool rolls and tubes. Once the fabrication was complete the bikes were tested for a month, before the engines were completely stripped and rebuilt from the crank up. Most of the transmission and rotating assembly had to be replaced. James also sourced new barrels, had them refurbished and fitted them with low-compression pistons, before sending the heads to Baisley Hi-Performance in Portland to be rebuilt. 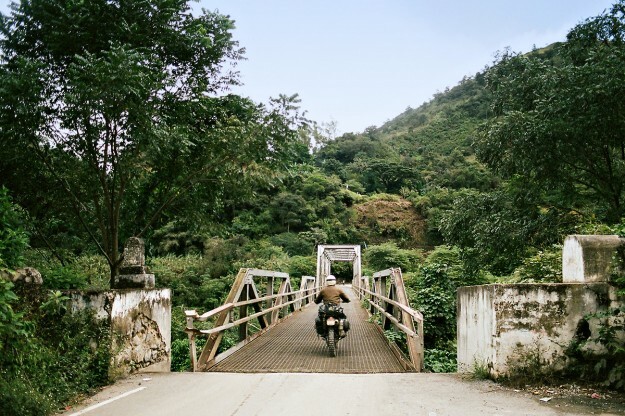 “I bolted them up with a thicker copper head gasket to bring compression down for the poor fuel we would be encountering. Otherwise I left as much stock as possible, since the bikes are going to get dropped and banged up non-stop.” For an extra boost, FMF mufflers were fitted to the stock Honda headers. We wish James and Jordan all the best on the last leg of their journey. 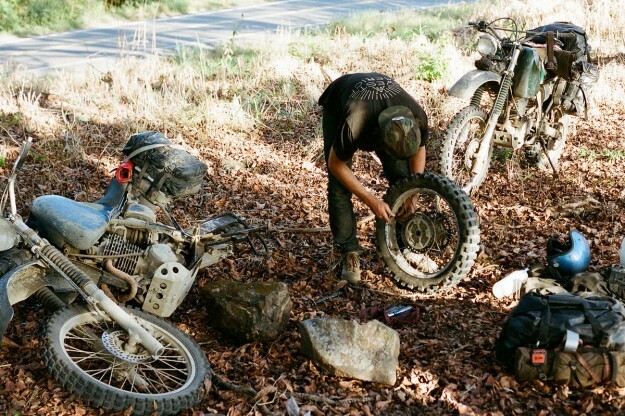 Photos by James Crowe and Jordan Hufnagel, shot on film and scanned. 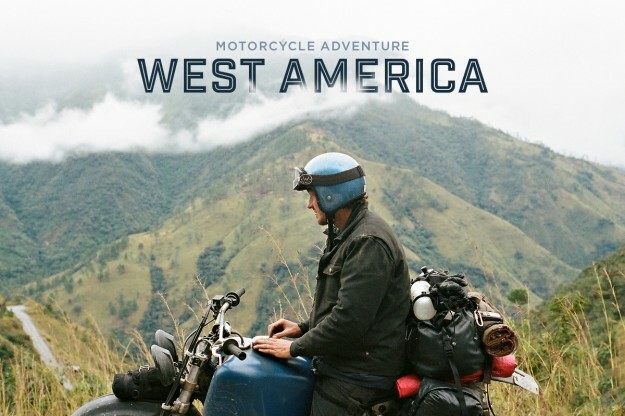 Follow the trip on the West America website.